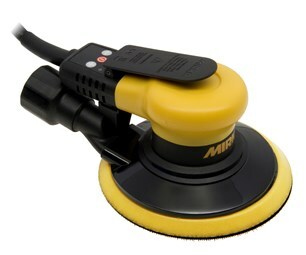 Mirka sander from £20.00 per day / £40.00 per day with dust extraction vacuum. The Mirka is developed in-house by the Mirka’s industry leading design team. It is packed with clever features and attention to detail which has created an efficient and effective sanding tool that is perfect for professional operators. It has been specially developed to produce maximum dust extraction, even at low suction power, thanks to a wider dust suction outlet in the machine housing which substantially improves dust suction efficiency.